On Hasbro’s Monkeybar website, they have the first part of the first episode of this web-exclusive series that takes place in the “Classics” universe. It’s a little crude and basic, and Optimus’ alt-mode is missing the controversial wind vane, but it’s interesting. But the real battle over this web series may end up raging in the forums. Up until now, we’ve only seen this Mickey Mouse TF in gray prototype form. BBTS has a first look at the painted version, and you can preorder it from them right now for $45. 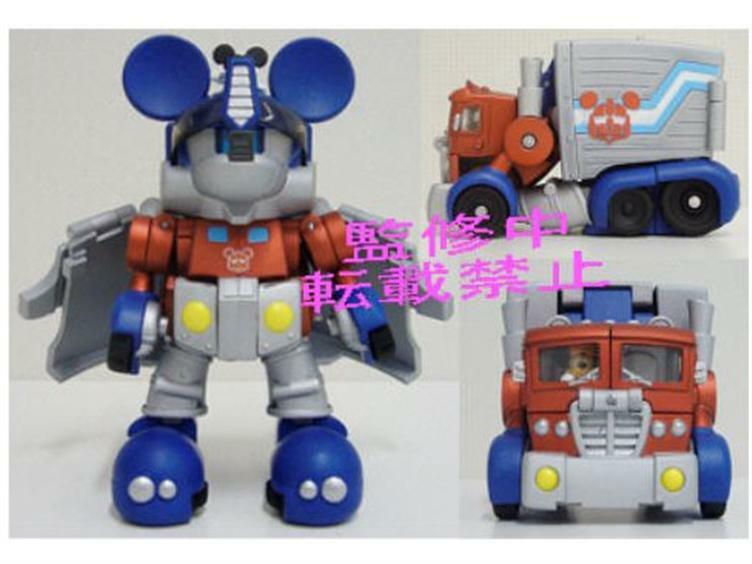 Looks like the Mickey driver in the cab and on top of the head is fully painted too!